SINGAPORE, Feb. 5, 2018 /PRNewswire/ — Sikorsky, a Lockheed Martin (NYSE: LMT) company, has completed qualification to military standards of a comprehensive weapons system for S-70M / S-70i™ Black Hawk helicopters. Fully integrated with the aircraft’s existing avionics, the system allows either pilot to place munitions quickly from forward firing guns, rocket pods and laser-designated air-to-ground missile launchers onto static or moving targets with high accuracy. In 2017, Sikorsky concluded a six-year development program of the weapons system, including two years of live fire tests at the U.S. Army’s Yuma Proving Ground in Arizona. 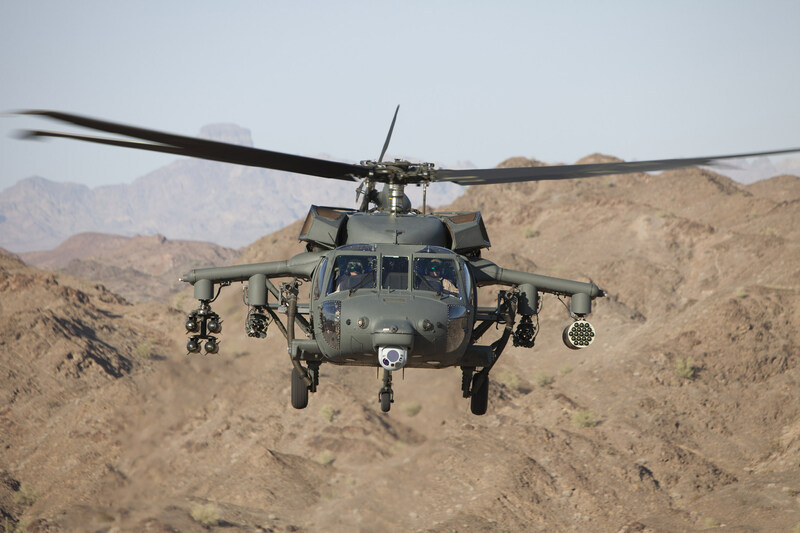 Sikorsky’s independent Qualification Assurance Board recently verified and validated the weapons system’s effectiveness and conformance to operational safety, airworthiness and firing accuracy. Weapons are carried by two external wings supporting four weapons stations, which can support any combination of fixed forward 50-cal (12.7mm) gun, 7- or 19-shot Hydra 70 rocket pods, or Hellfire™ air-to-ground missiles. Additionally, the qualified configuration features pilot-controlled fixed forward or crew served flex fire 7.62-mm mini-guns mounted to both cabin windows. Anti-armor: Carry up to 16 laser guided missiles. To engage with guns and rockets, the weapons system presents continuously updated targeting symbology to each pilot’s helmet mounted display. By following the cues on the display, the pilot can maneuver the aircraft and engage the target. The system also provides target designation for laser-guided HELLFIRE missiles. Available from Sikorsky, the Black Hawk weapons system can be tailored to customer preferences. Headquartered in Bethesda, Maryland, Lockheed Martin is a global security and aerospace company that employs approximately 100,000 people worldwide and is principally engaged in the research, design, development, manufacture, integration and sustainment of advanced technology systems, products and services. A group of industry veterans along with new age young guns formed this platform to cater a different kind of news and sometimes news about news. Unbiased, FEAR NONE, HIDE NONE attitude for journalistic acumen. error: Sorry Content is protected ! !